BSJ is a new peer-reviewed journal aimed at promoting the work of B.S. Johnson through academic criticism, essays, interviews, review and creative work. Affiliated with The B.S. Johnson Society, the journal seeks to reflect the multi-disciplinary approach of the writer himself whilst celebrating and analysing his on-going influence within contemporary culture. Academic Research Papers. Each edition of the journal will include a number of academic research papers peer-reviewed by top scholars in the area of B.S. Johnson studies. 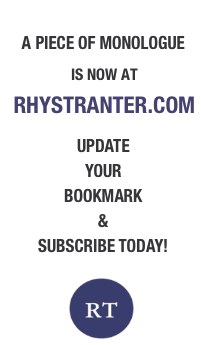 We welcome fresh academic insight into his life and works, comparative studies and new discoveries from the archives. As academic interest in Johnson grows, we aim to provide a forum for dissemination and debate of the best new research. Essays. Non-academic contributions are also welcomed to expand and deepen our knowledge of Johnson and his works. Johnson film buffs, collectors of rare books, collaborators or friends of Johnson, psychogeographers, local historians, translators, or artists, musicians and writers inspired by his work are all welcome to submit articles for consideration. Interviews. The journal hopes to publish new interviews shedding light upon Johnson from those that knew and worked with him. We welcome proposals for interviews to be submitted in abstract form for consideration by the editors. Reviews. Reflecting Johnson’s enthusiasm for those “writing as if it mattered”, we invite reviews not only of new works on Johnson, but also relating to both academic and creative productions that will be of interest to our audience; whether this be exciting innovations in the novel form, critical works that shed new light on our approach to his texts, or any other publications and productions suitable for the Johnson enthusiast. Creative Work. 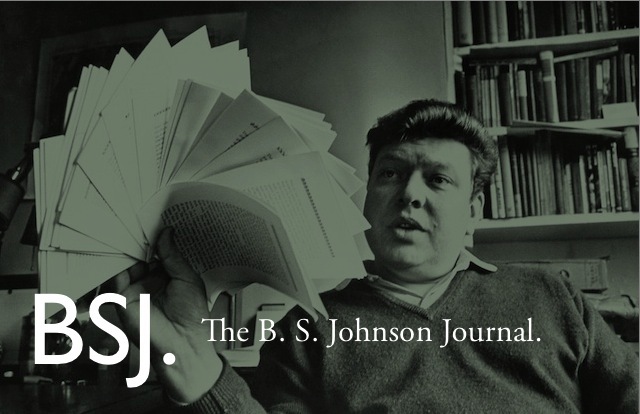 With Johnson’s influence continuing to be felt across a broad range of contemporary culture we believe that BSJ should provide a space for new writing and visual media. Short pieces about locations mentioned in Johnson’s works, poetry inspired by his syllabic method, or experiments in creative typography are just a few examples of the sort of work we invite for submission. We ask that all submissions to be considered for the first edition of the journal be sent to us at bsjjournal@gmail.com no later than 31st April 2013. Proposals for academic research papers, essays and interviews should be submitted as abstracts up to 500 words in length outlining the subject to be addressed. Prospective reviews and creative pieces to be featured in the journal do not require an abstract but we do ask that you contact us prior to submission so that the editors can gauge its suitability and to assure no disappointment. The estimate date of publication for the first volume of BSJ: The B.S. Johnson Journal will be December 2013 in order to see out the “Year of Johnson”. An event will be held in September to raise start-up funds. Keep a look-out for more information through the BSJ mailing list and the B.S. Johnson society newsletter.